The holidays are in full swing, even though it doesn't necessarily feel like it down here in Florida. Growing up in the Midwest, you could always tell it was the holiday season by the crisp, cool air, the smell of pine needles in the air and the warm embrace of the fireplace when you walk through the door. While I don't get those same sensations from our 80 degree "winter" days, it is nice to be able to make the inside of my home feel like the holiday season. The Glade® LimitedEdition Winter Collection allows me to bring back all of my childhood memories of Christmas right in my own home! 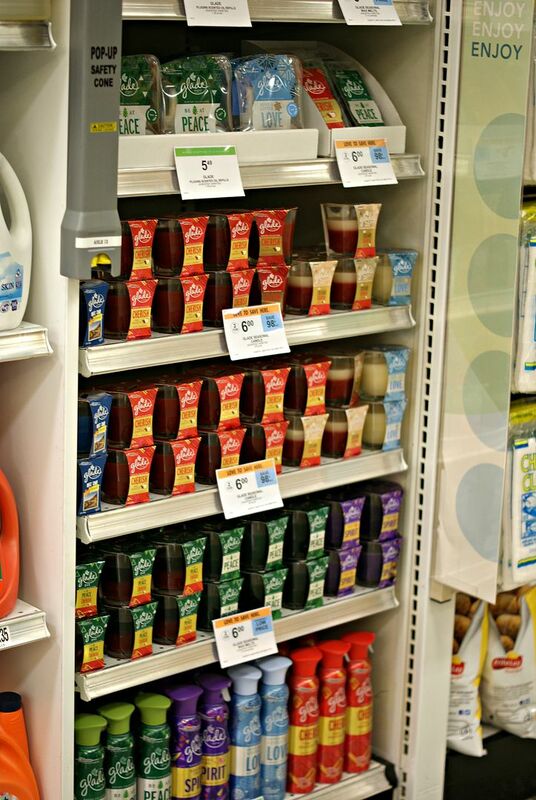 When I came across the Glade® Limited Edition Winter Collection at my local Publix, I had to stop and check them out. I love candles so I almost always stop to smell a few and see if any are worth adding to my collection. These definitely were! My favorite scents are BE AT PEACE™ and CHERISH THE PRESENT™. Nothing quite welcomes the holidays like the smell of pine and cinnamon, and one of the things I love the most about the Glade® Limited Edition Winter Collection is that they aren't just scents, they actually evoke feelings and can transform your space! Since I have a fake tree I miss out on the glorious smell of pine that used to fill my house as a kid, but BE AT PEACE™ allows me to experience that smell even with a fake tree! There's something about walking into your home to the whisper of fresh pine that just feels like Christmas. It's such a light, fresh smell. I love walking by and getting the hint of Christmas tree even without the hassle of a real tree! Apple cinnamon has always been one of my favorite scents, especially in the fall and winter. CHERISH THE PRESENT™ has such a warm scent with hints of cinnamon and apple, which reminds me of a homemade apple pie. Apple cider was and still is one of my favorite fall beverages and this scent brings me right back to a warm apple cider with fresh cinnamon sticks. 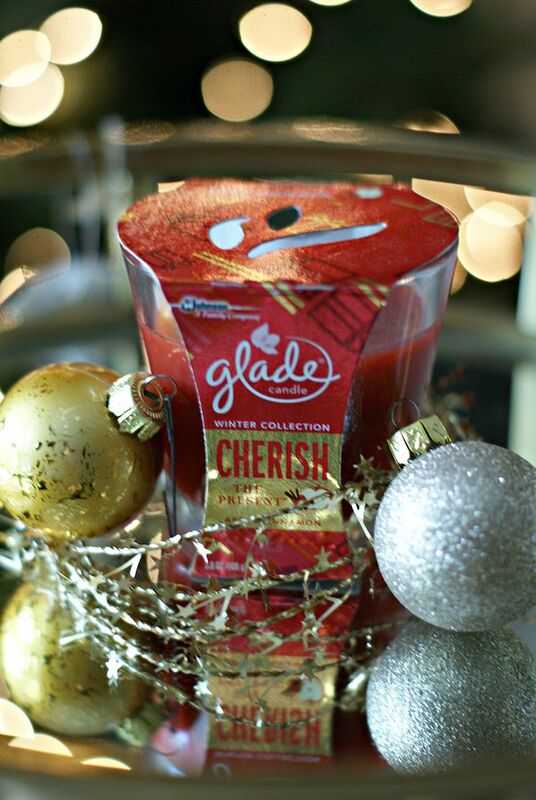 The Glade®Limited Edition Winter Collection offers two other scents I really enjoy: SEND A LITTLE LOVE™, which smells like Vanilla Biscotti™, and SHARE THE SPIRIT™, which smells like Pomegranate Sparkler™. Both of these scents also really bring out that holiday feeling. I love that you don't just smell Glade®, you feel Glade®. What scents remind you of the holidays? 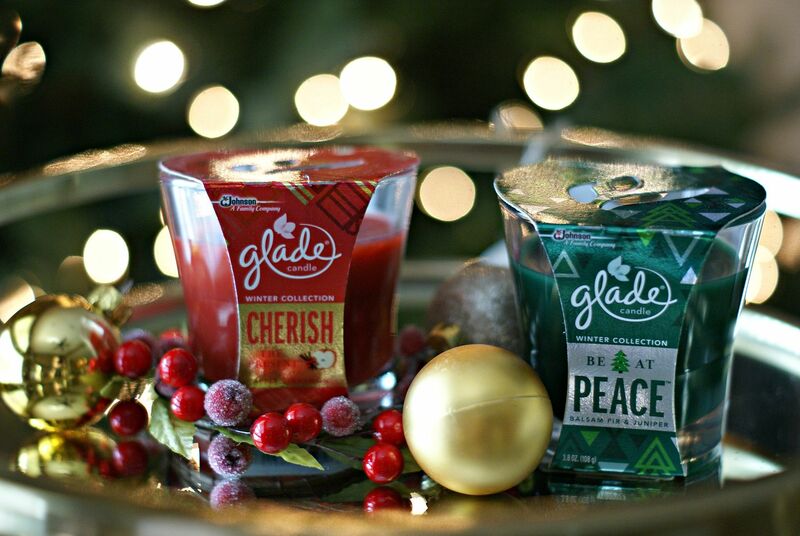 Glade really knows how to bring home the holiday smell. I've never been disappointed with their holiday line. Ive given these for smaller gifts to my coworkers before--who doesn't love yummy smelling candles? I love the way you set up the candles, so pretty! I've never tried Glade candles before but these sound great! Glade candles are great. They have the best holiday scents! ah i love it! i have a pine candle at home that is just perfection but i'm sure it doesn't come close to that one up there. now i wish i had one in front of my face at work haha. love! I love a good holiday candle! There's really nothing better than a scent that makes you think of Winter and Christmas! I am up Obsessed with holiday candles! I just went crazy in Yankee yesterday! I love Glades sents too! I love the Glade Holiday Candles. I always put them in my bathrooms during the holidays. They smell so good. I just got one of these as a gift at work, I can't wait to take it home and burn so my house smells all holiday-ish! I just came across your blog and love it...what an adorable name!! There is nothing like a candle to make a relaxing night more cozy and home feel that much more homey! Glad to know these Glade ones are great! Thank you for sharing and have a great day! fun post! holiday scents are the best! Loving all the Christmas scented candles! Who doesn't love a nice aroma in your house especially us with pets...definitely checking these out when my currently 3-wick runs out. Those pictures came out gorgeous. You need a tutorial for indoor shooting to make these look so crisp! These scents look so fantastic!! 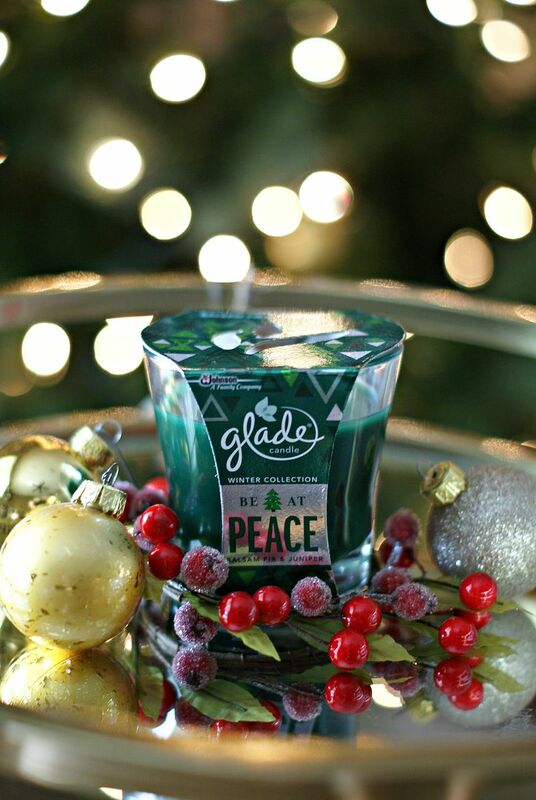 I love the Glade holiday scents for this time of year! I've always wondered if their candles smelled good...I mean, air freshener isn't bad, but it's not the best...you know what I'm saying- haha. I will have to check some of these out! I have a Yankee Candle christmas cookie burning now & that always makes me think of Christmas...anything cinnamon too! Mmmm we've been loving the holiday scents! We had a evergreen burning earlier and it smelled like we had a fresh tree in the house! Currently burning the peace candle right now! Smells great and can't beat the price!